Here is Mezco Toyz' Mortal Kombat display at the fair..
Was very excited when they first got the license. Figures looked pretty good as well but there were too many variants for Series 1 itself. Nevertheless, I was excited for Series 2 which I should be getting pretty soon. 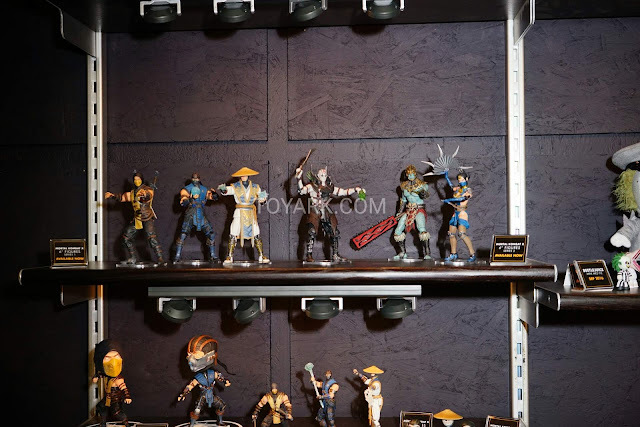 But nothing new shown here, regarding Series 3, and I can't remember where I saw it but someone from Mezco posted that they were done with Mortal Kombat. Getting really worried for the future of this line. I really felt that they were doing pretty good with the figures. Good details, plenty of articulation and decent amount of accessories, I felt these were the best 6" Mortal Kombat figures ever created so it will be sad to see this not continuing even though we have a nice line of 6 characters. This is the tweet that I saw, which claims that there will be no continuation, albeit for the mean time. However, if you see the date.. this was posted on 21 Nov 2015. 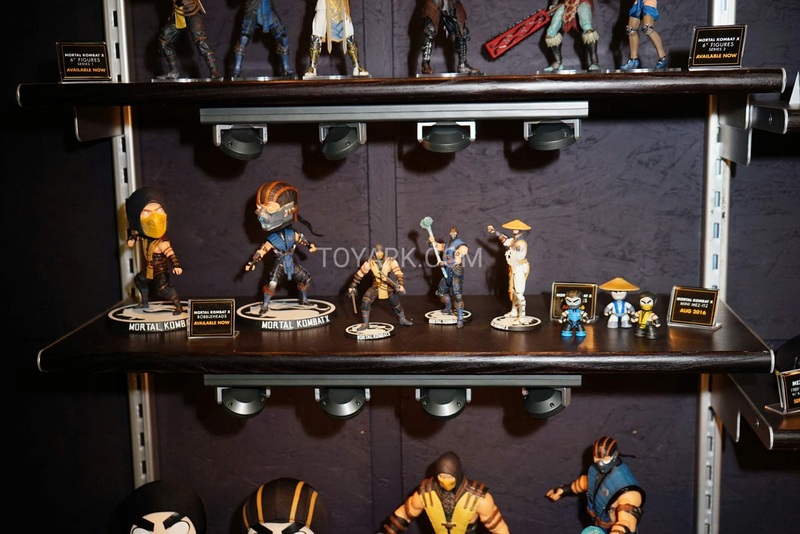 The person goes on to say that while the Mortal Kombat figures sold well, they were moving their focus to other projects for 2016. I went on Facebook yesterday to ask if there will be no Series 3 and here's the response.. Both posts seem to contradict each other but plans might have changed in the few months since the above Twitter post. The Klassic 1:12 figures were teased in last year's Toy Fair, but I haven't seen any updates yet and based on the update above, we might not be seeing them anytime soon. Always seem the case when Toy companies get their hands on the Marvel and DC licenses, a lot of other projects gets pushed to the side. Storm Collectibles are already working on 1:12 Klassic MK figures, so perhaps they don't want to compete with them? 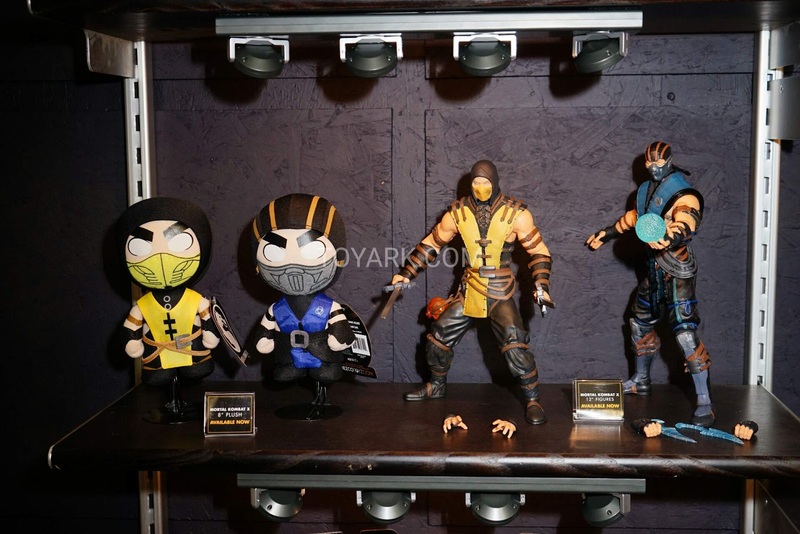 Either way, hoping to see some good news for Mortal Kombat real soon! 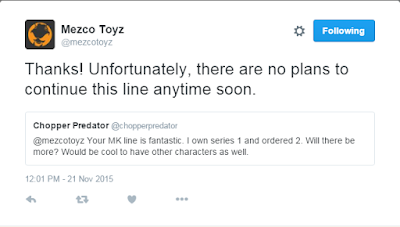 More video interviews from Toy Fair 2016 which keeps the fate of the MK figures still in limbo..